Qwaz applications have been designed and crafted by a french journalist and developer for his own needs. 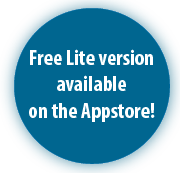 Available for iPhone, iPad and MacOS, in French and English. Qwaz Pro is a swiss-army knife for any text producer. 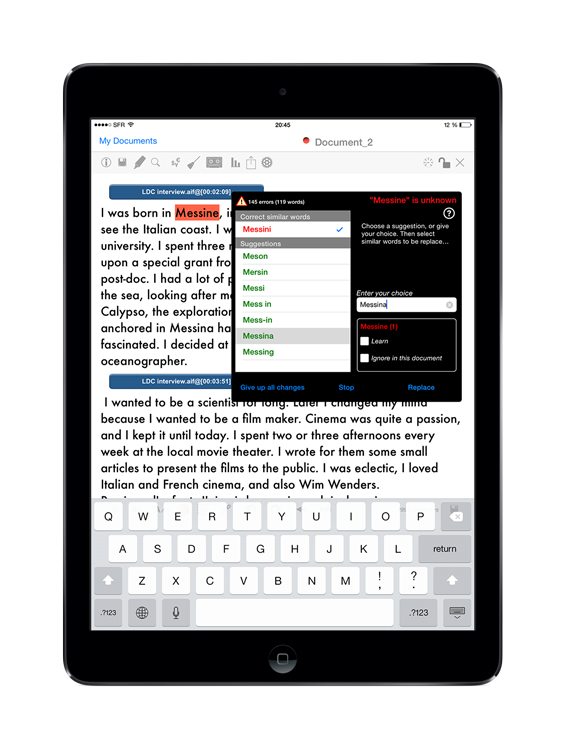 Your iPad™ becomes an intelligent audio recorder and player, and offers numerous writing aids to save precious time. Your can create printable texts, blog entries, website documents or any text document for a content management system (CMS). Twitter users can even tweet pieces of their documents. 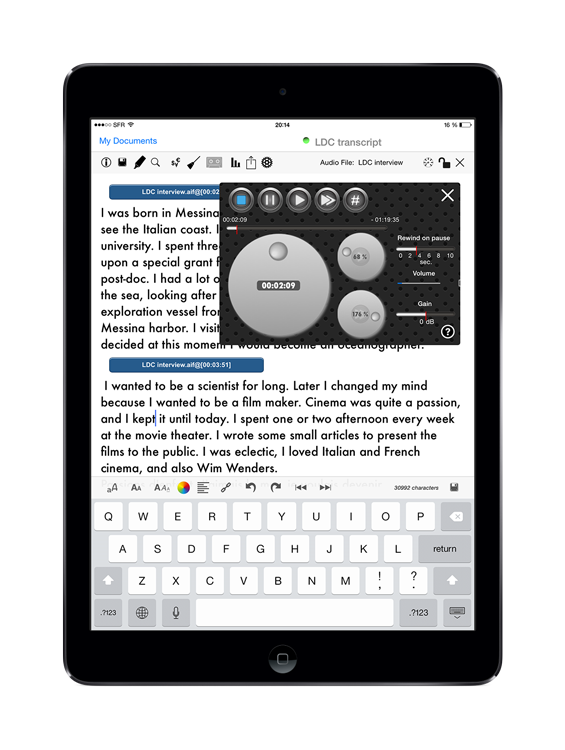 Qwaz Pro accepts external Bluetooth keyboards to write faster and to save screen space. 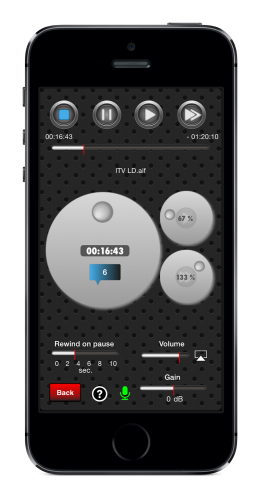 Forget numerous pauses and rewinds that waste precious time: you’ll transcribe your audio recordings from twice to three times faster than with a ordinary recorder ! Qwaz Pro features a revolutionary technology to increase or reduce playing speed, to match your typing velocity. Without changing voice pitch ! 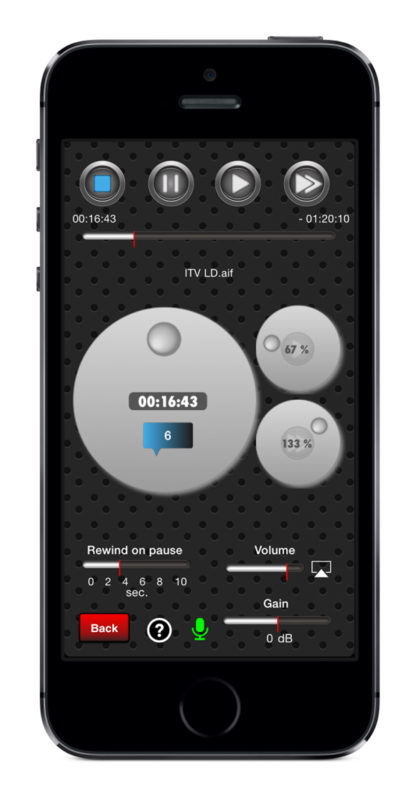 After a pause, recording is automatically rewinded with a self-defined time, to restart transcription in best possible conditions. 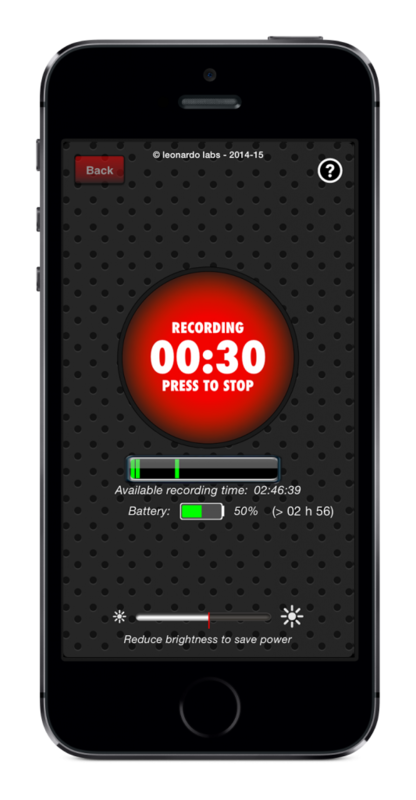 Qwaz Pro can insert interactive audio markers in your text to simplify further listening! 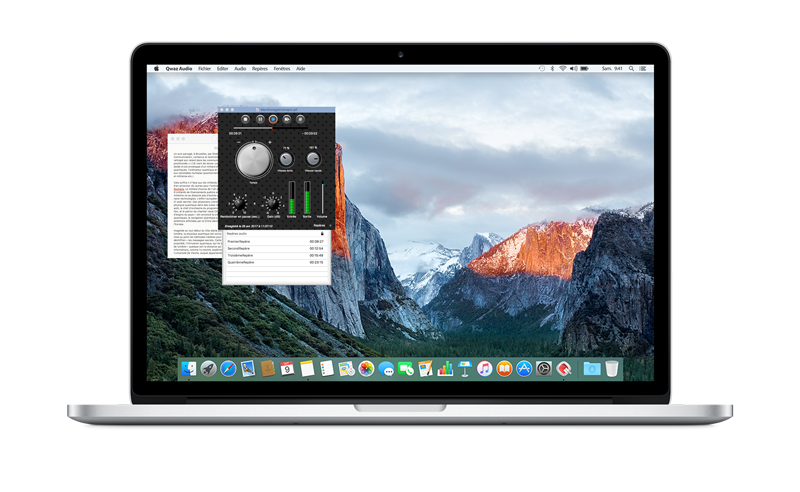 And Qwaz Pro can also play many audio formats recorded with other devices. 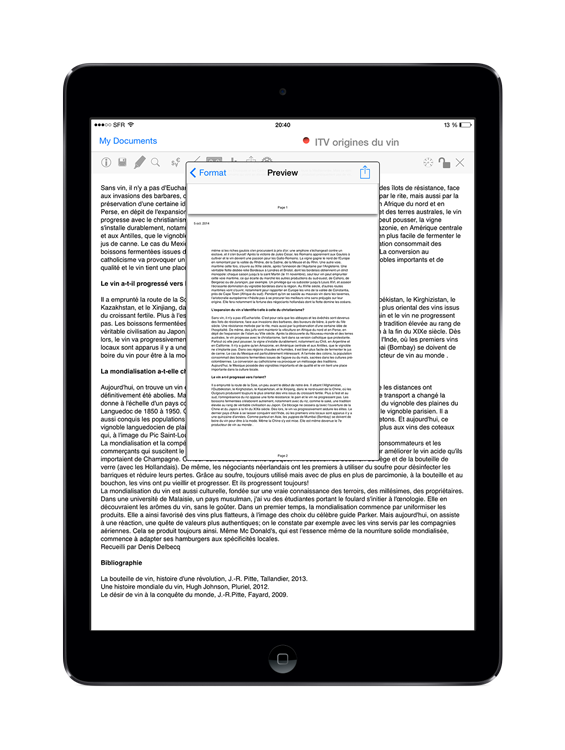 As a modern wordprocessor, Qwaz Pro proposes numerous features for better writing. The application can analyze your document, using a statistical tool, to discover repetitions of words or check content coherence. You can also define abbreviations to be replaced. And as we often use some words or expressions on reflex, you can teach the application your “writing tics”. Qwaz Pro has a spell checker that can discover and correct similar words in one operation. Qwaz Pro can also convert amounts in many currencies, using updated daily rates and converts numbers into words, be they written in english, french and spanish! And if you need to constrain your text length, your application will check it for you! Qwaz Pro offers many ways to communicate your writings. You can print them on any AirPrint™ compatible device. When you email your documents, Qwaz Pro will build attachment as RTF or PDF file. The application can also import Word™ ou RTF documents received by email or iCloud Drive™, Dropbox™, Owncloud™ and other cloud file servers. You can also “tweet” a text selection and insert internet links into your documents: your text can be copied/pasted as HTML in your blog, or in any content management system (CMS).